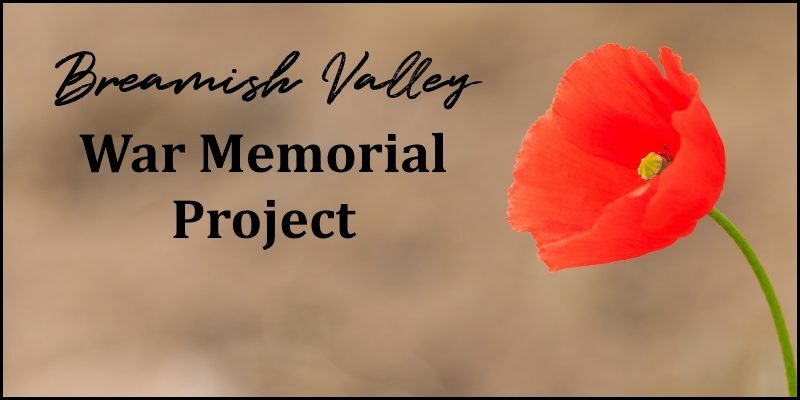 We are pleased to announce that the ‘Roll of Honour’ to commemorate the lives of the fallen from the Breamish Valley has now been published online. Commemorate individuals who lost their lives in either of the two world wars while serving in the armed forces or directly supporting the armed forces. It was intended that a Roll of Honour be compiled and that a physical War Memorial be constructed with a view to this being sited in the Powburn Community Garden. The goal is to have the War Memorial in place to commemorate 100 years of the cessation of the hostilities of WWI in late 2018. For now, we are publishing the Roll of Honour so that members of the public and other interested parties can review the information we currently have and get in touch if they identify any omissions, errors, etc or if they wish to request the inclusion of a potentially over-looked individual. As at 9 October 2018, we have identified 32 servicemen from WWI and 7 servicemen who lost their lives in WWII.